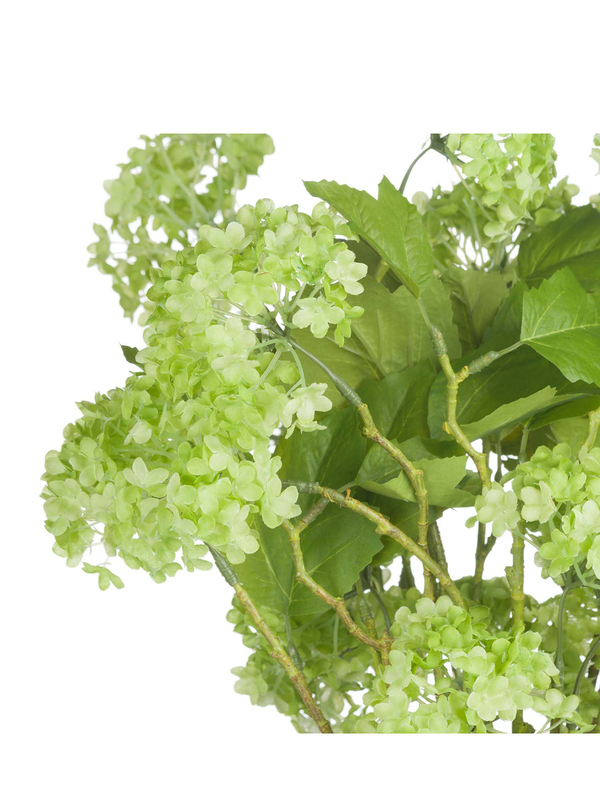 The tightly clustered green flowers of the viburnum bring freshness and life with their uplifting lime pom-poms, adding cheer to everyday of the year. 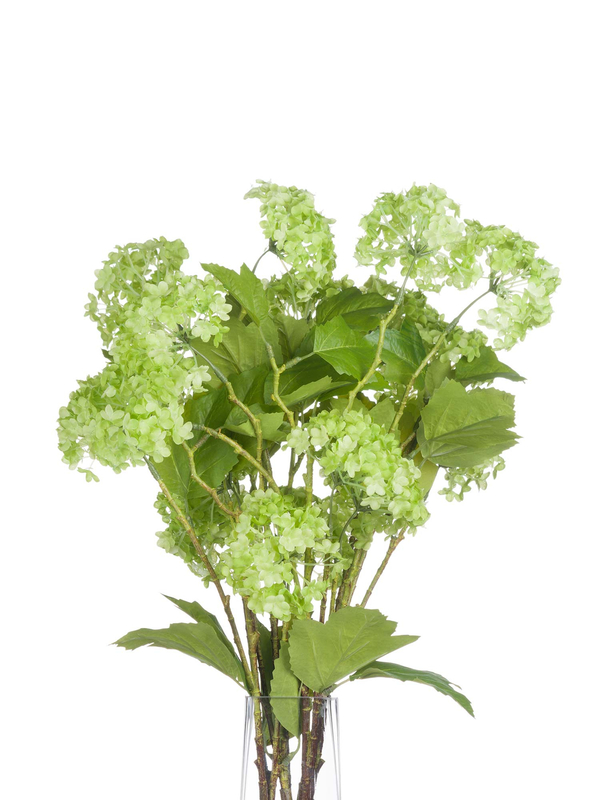 This gorgeous bunch includes six Viburnum stems. 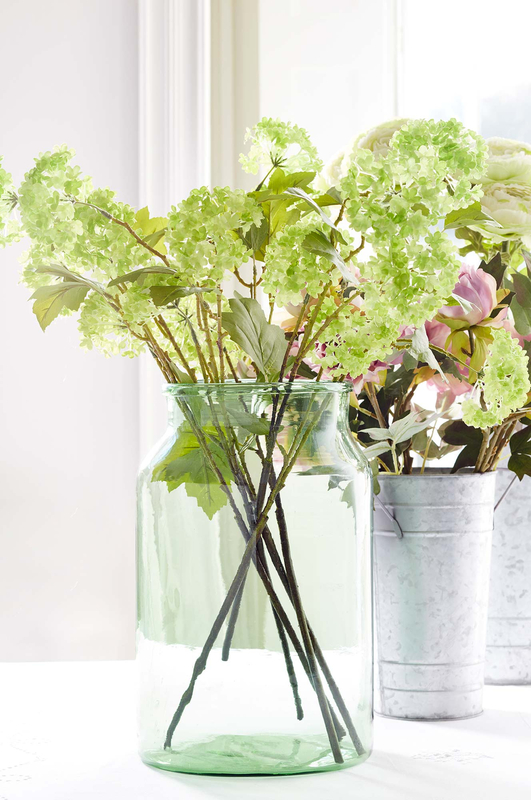 Please Note: These faux florals are finished by hand and come in a bunch of 6 stems. 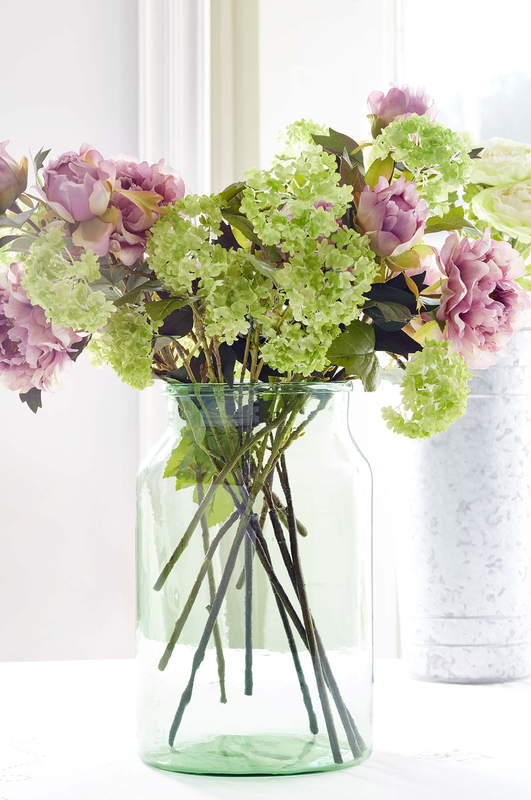 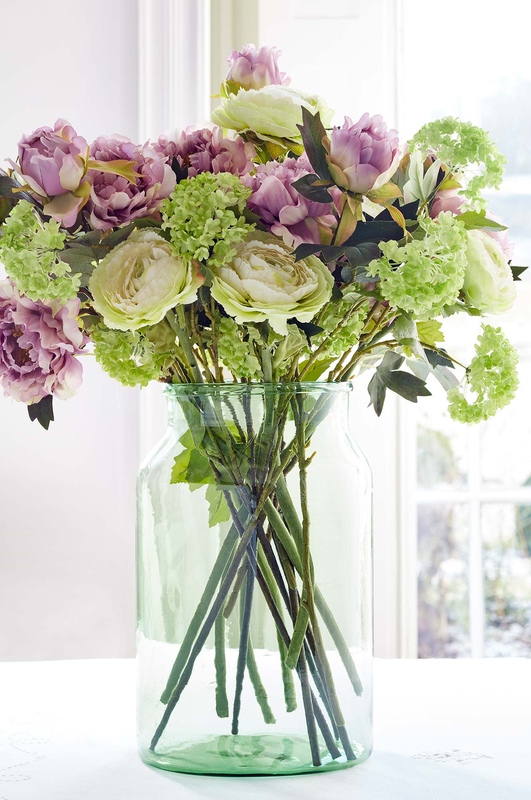 We recommend displaying your beautiful flowers in the Medium Apothecary Vase as pictured.